We are periodically asked about using mobile phones as scanners for our Remark Office OMR and Remark Test Grading solutions. Because these solutions read image files to automate your data collection process from your paper forms, you can use anything that can create a suitable image (PDF, TIFF, PCX, JPG, BMP, JPEG, PNG, DCX) for processing. Scanning devices include: image scanners, multi-function printers, mobile scanning apps and anything else that can create a suitable image. For this blog post, we explored using the Adobe Acrobat Reader and Adobe Scan apps with our Remark Test Grading Cloud solution. We thought these apps could provide an easy scanning solution for busy teachers that may not always be near a scanner or multi-function printer. In addition, Remark Test Grading Cloud provides additional features that can simplify this process, including the ability to email completed test images to the cloud for grading and being able to send test grading reports to a teacher’s email. We can proudly say that using the Adobe Acrobat Reader and Adobe Scan apps, teachers can grade tests and get reports sent to their email without even touching their computers! Both Adobe mobile scanning apps allow you to generate PDFs using your smartphone’s camera, which can then be graded by Remark Test Grading Cloud. Using the Grade-By-Email functionality of Remark Test Grading Cloud, the completed test PDFs are automatically discovered and graded on the cloud, which can be configured to send reports directly to the teacher’s email address. In addition to being able to send the completed form PDF files to the cloud via email, you can also save them to iCloud, DropBox, Google Drive, OneDrive and more. This allows you to pull these images into our other solutions for processing. We are very pleased to recommend the Adobe Acrobat Reader and Adobe Scan apps, to any Remark Office OMR and Remark Test Grading users looking to use their mobile phones to capture images of their forms. The free Adobe Acrobat Reader app is available on iOS, Android, and Windows Phone. 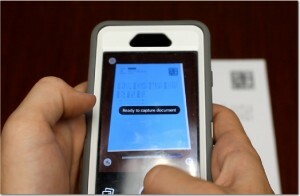 The free Adobe Scan app is available on iOS and Android. We’ve created this video to give you an overview of how to use theses apps with our software. For more videos please subscribe to our YouTube Channel.